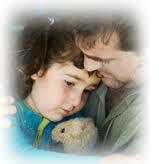 Find resources available in Huron County to help parents & their families. We're here to help! MI Bridges: State of Michigan Assistance - You may qualify for state assistance with groceries, child care expenses, and medical care coverage. Use the MI Bridges online application to apply for multiple benefits: health care coverage (Healthy Michigan Plan, Medicaid, and MI Child), food, cash and child care assistance, and emergency services. For help navigating the MI Bridges website or for questions call 810-667-2734. State Emergency Relief & Weatherization Assistance Program: Department of Health and Human Services - For families facing conditions of extreme hardship or emergencies threatening your health and safety. You may qualify for emergency relief assistance if you are usually able to make ends meet but have found yourself in an unexpected emergency situation. For ongoing reduction in your energy expenses check out the weatherization assistance program. Women, Infants and Children (WIC): Huron County Health Department - Provides supplemental foods which promote good health for pregnant, breastfeeding, and postpartum women, infants, and children up to the age of five. Project Home - Provides support services to very low income veterans who are facing homelessness: finding affordable housing; budget planning assistance; temporary financial assistance; referrals for other community services. Emergency Service Grant - Assists singles/families that are homeless or at imminent risk of becoming homeless with eviction notices and utility shut-off notices. Section 8 Housing Choice Voucher - Assist homeless singles/families who are losing their place to stay with applying for Section 8 housing. Rent Arrearage payments for individuals facing eviction. Mortgage Arrearage payments for individuals facing foreclosure. Emergency Shelter for individuals needing temporary housing. Security Deposits and/or first month's rent for individuals needing to be rehoused. Programs that provide meals for low-income children during the summer are crucial for the hundreds of thousands of Michigan students who rely on the federal school meals program during the school year. Once the final school bell rings, over 700 locations across Michigan help to bridge that gap until the start of school next fall. The Michigan Department of Education has created a Site Locator Map, which allows families to identify the nearest Meet Up and Eat Up™ sites, including information about locations, meal types, times, and driving directions. The USDA's Summer Food Service Program (SFSP) feeds children who may otherwise go hungry when school is out. During the regular school year, some 21.4 million children receive a school lunch at little or no cost to their household. In some cases this is the child's main meal of the day. However, when summer arrives and school is no longer in session, the number of children participating in a federal food assistance program drops dramatically, to approximately 3.8 million, and the USDA is working hard to close that gap. You can help by getting the word out that there are meals available by using these summer meal flyers which provide a toll-free number to help connect parents and children to a site near them that serves summer meals! The flyer is available in English and in Spanish. The following are locations in or near Huron County offering summer food service programs. For detailed information, contact the numbers listed below at the various site locations. Loads of Love Laundry Project provides assistance for Huron County families is need that have difficulty with the financial aspect of getting their laundry completed. Vouchers are available by contacting Jill Rowland to help families have their laundry completed free of charge. Call 989-269-9394 or email jill.rowland@hotmail.com for more information.